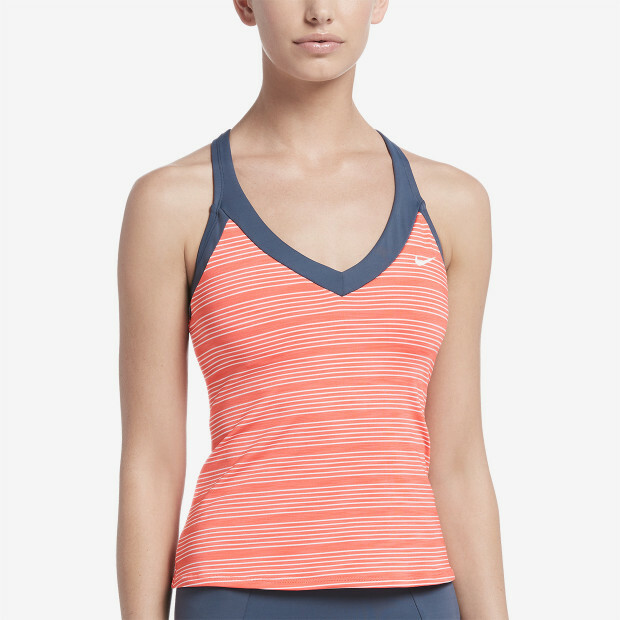 Nike Swim Women's 6:1 Heather Stripe V-Neck Tankini features a striped heather design down the center of the tankini. 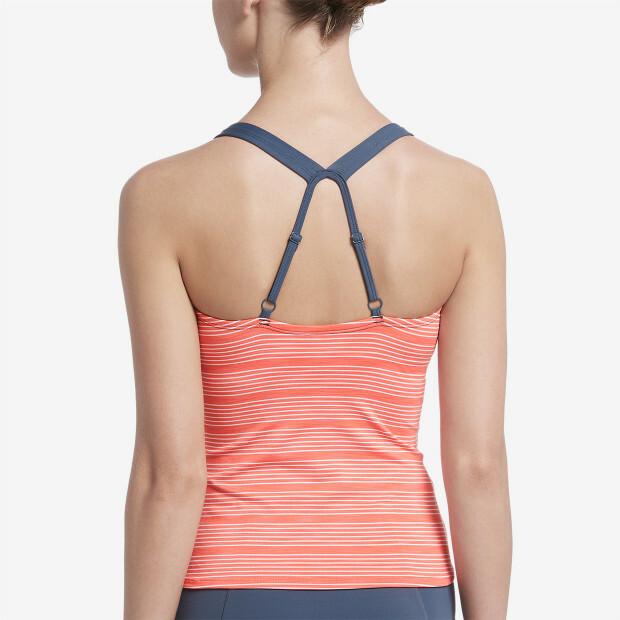 The swim top offers high bust support with soft removable cups for coverage and adjustable straps. Fully lined and chlorine-resistant, it's an excellent top for the pool or beach.